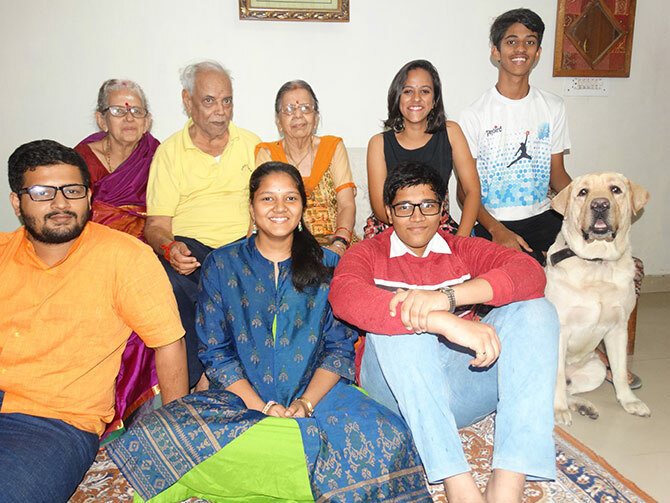 We asked you, dear readers to share your pet pics. This is what Rediff reader V Srinivas from New Delhi had to share. 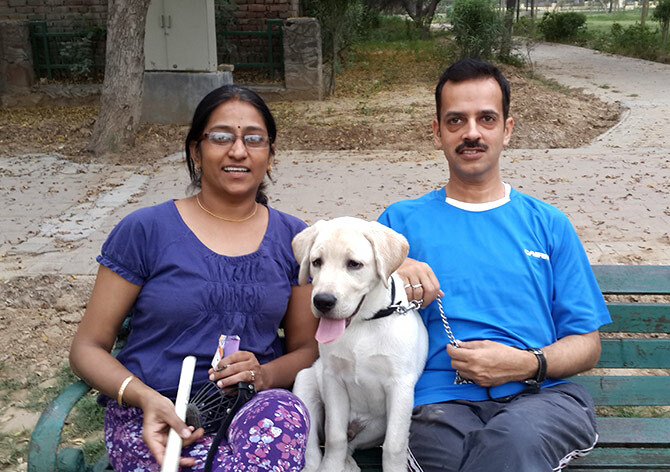 Bruno came into our lives in Jan 2015, during the peak winter period in Delhi. When this new member joined our family, he was about two months old. IMAGE: Bruno's first day at him home. Bruno, our bundle of joy, is now four-and-a-half years old. In the first year, he would eat up anything, cables, phones, slippers, etc. Slowly, he got out of that habit. 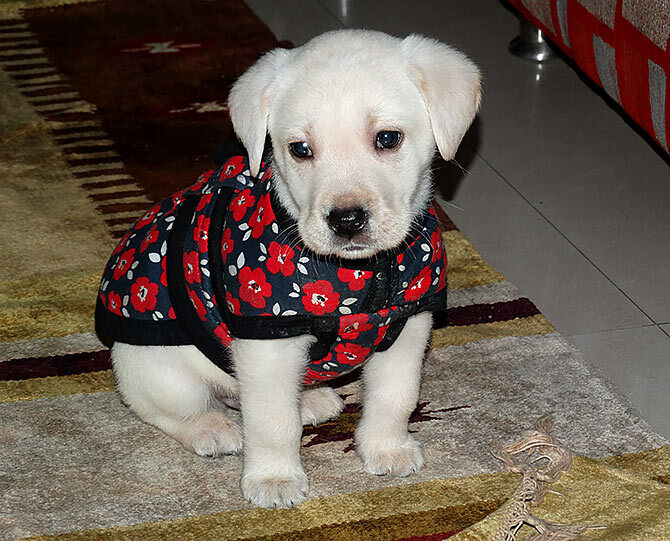 He is a very intelligent Labrador and even though he cannot talk, he communicates well. IMAGE: A grown-up Bruno steps out for a walk. He is very well-known in our neighbourhood and is friends with all the children in our locality. He has brought so much of love, laughter and happiness in our lives. On National Pet Day, we rededicated our love for him. No wonder dogs are man's best friends, and their unconditional love has taught my family members and me what true love is. We all love our dearest Bruno. IMAGE: Now that's a big, happy family! We ask you, dear readers to share pics of your pets. 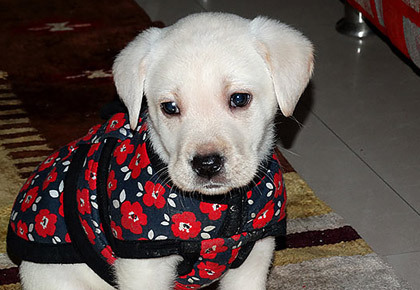 Write in to getahead@rediff.co.in with 'My Pet Pic' in the subject line and share your responses along with your NAME, AGE and the place where you LIVE. Don't forget to tell us your pet's name. We will publish the best entries right here on Rediff.com! Aww! 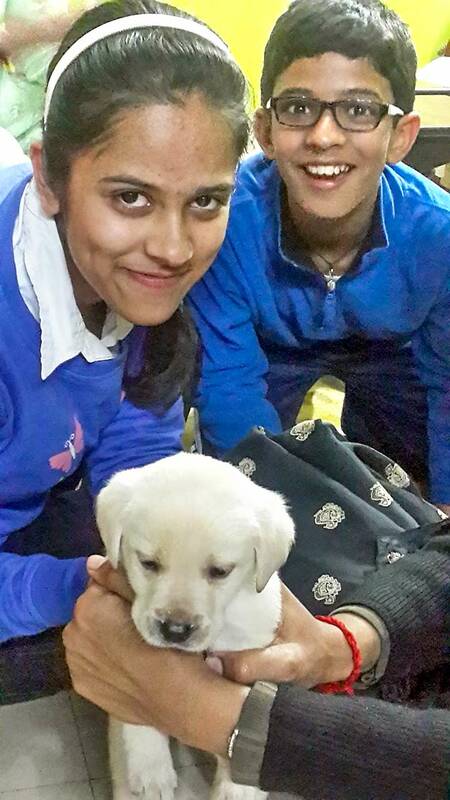 Have you met Madhuri's pets?